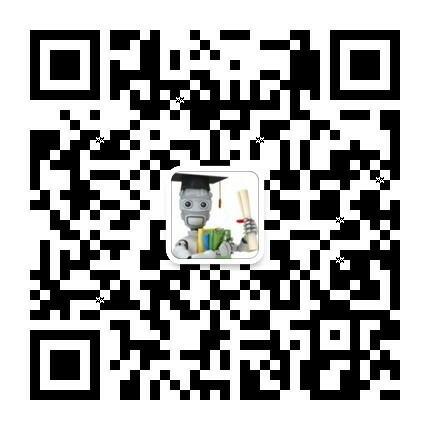 ACL 2010官方主页似乎在前几天已经确定好了本次大会的Best Paper Awards，在其Awards页面里，不仅给出了本次大会的Best long paper, Best short paper, IBM Best student paper，而且包括其在会议期间Presented time. Despite its substantial coverage, NomBank does not account for all within-sentence arguments and ignores extrasentential arguments altogether. These arguments, which we call implicit, are important to semantic processing, and their recovery could potentially benefit many NLP applications. We present a study of implicit arguments for a select group of frequent nominal predicates. We show that implicit arguments are pervasive for these predicates, adding 65% to the coverage of NomBank. We demonstrate the feasibility of recovering implicit arguments with a supervised classification model. Our results and analyses provide a baseline for future work on this emerging task. We revisit the algorithm of Schütze (1995) for unsupervised part-of-speech tagging. The algorithm uses reduced-rank singular value decomposition followed by clustering to extract latent features from context distributions. As implemented here, it achieves state-of-the-art tagging accuracy at considerably less cost than more recent methods. It can also produce a range of finer-grained taggings, with potential applications to various tasks. We present a method for extracting social networks from literature, namely, nineteenth-century British novels and serials. We derive the networks from dialogue interactions, and thus our method depends on the ability to determine when two characters are in conversation. Our approach involves character name chunking, quoted speech attribution and conversation detection given the set of quotes. We extract features from the social networks and examine their correlation with one another, as well as with metadata such as the novel’s setting. Our results provide evidence that the majority of novels in this time period do not fit two characterizations provided by literacy scholars. Instead, our results suggest an alternative explanation for differences in social networks. The ACL Lifetime Achievement Award (LTA) was instituted on the occasion of the Association's 40th anniversary meeting. The award is presented for scientific achievement, of both theoretical and applied nature, in the field of Computational Linguistics. Currently, an ACL committee nominates and selects at most one award recipient annually, considering the originality, depth, breadth, and impact of the entire body of the nominee's work in the field. The award is a crystal trophy and the recipient is invited to give a 45-minute speech on his or her view of the development of Computational Linguistics at the annual meeting of the association. As of 2004, the speech has been subsequently published in the Association's journal, Computational Linguistics. The speech is introduced by the announcement of the award winner, whose identity is not made public until that time. Lifetime Achievement Award（终生成就奖）每届最多只授予一位对于自然语言处理与计算语言学有着举足轻重影响的候选者，此前获得该奖项的分别是：Aravind Joshi (2002), Makoto Nagao (2003), Karen Spärck Jones (2004), Martin Kay (2005), Eva Hajicová (2006), Lauri Karttunen (2007), Yorick Wilks (2008) and Fred Jelinek (2009).